Windows 7 support ends in January 2020 and there is nothing that consumers and small business customers-- read non-Enterprise customers -- can do about it. Microsoft won't release security updates, any update to be precise, for consumer versions of Windows 7 after January 2020. Microsoft announced last year that it would offer paid extended support options to volume licensing customers. The company did not reveal any pricing back then but mentioned that support would be extended for a maximum of three years after support end and that extending support would become more expensive per year. Mary Jo Foley got her hands on the extended support costs and other information related to extending the support period of the Windows 7 operating system. The extended support period begins in January 2020 when Windows 7 support ends officially and it ends in January 2023 for good. Customers need to pay Microsoft for the first year to be eligible for support in the second, and for the second year to be eligible for extended support in the third year. There is no minimum purchase necessary; extended support means that Microsoft will provide customers with cumulative security updates for the Windows 7 operating system for each year payments are made. It is up for debate whether extended support costs "two arms and three legs" as Woody Leonhard sees it, or whether it is reasonable when companies weight the costs of extended support against the costs of upgrading systems and training employees. Would you pay Microsoft for extended support? 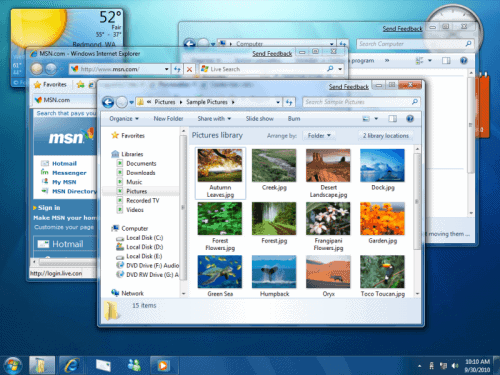 Microsoft offers support extensions for Windows 7 only to Enterprise customers. What if Microsoft would make the same offer to Home users? Would you, if you run a device with Windows 7, pay Microsoft for extended support? It would cost $350 to extend support by three years; that's more than a new copy of Windows 8.1 or 10 costs right now, and that is not even taking into account that you can get them dead cheap or maybe even upgrade the device to Windows 10 for free. The advantage that comes out of extended support is similar to the advantage that Enterprise customers get: the operating system is good for another three years before it needs to be switched (ignoring the option to continue using the operating system without security patches). Now You: Would you pay Microsoft for an extended support period? Would you pay Microsoft for continued Windows 7 support? With Windows 7 support ending in 2020, would you pay Microsoft to extend support for up to three years if the option would be available? Nope. Updates are too buggy. As a music producer i need a stable environment to work in. At the moment i use an image updated until May 2017. No other bugs than those introduced in SP1. The most stable Windows 7 x64 i have used. @Stefann – Same here, but for Windows 10. I need a totally stable environment like you. I’ve not allowed a single update on my main Win10 box since around March/April 2017, and it is utterly stable and a happy situation. Remember that this build (the one I use, 1607) dates back to when you could stop updates more easily. I’d NEVER pay for extended support. Not to mention that updates lately have gone pretty ugly, just ask anyone who got their files deleted on that win10 update, or other issues in any of the other updates. Sure, those are feature updates, but security updates can get botched as well, just look at the current stickied thread on r/windows. Could you perhaps tell what it does? I don’t use Windows 7, but if I did, I wouldn’t pay Microsoft for an extended support period. I’d just keep using Windows 7. Two choices if I want to keep using my very expensive hardware set-up. 2-Stil run Windows 7 Pro without Microsoft updates relying on my Internet Security software to pick up the security update tasks. With updates turned off, yeah. Which also answers the question of whether anyone should pay Microsoft for support. Pay MS to fix its own mistakes? No thanks. Don’t come crying back here when Windows 10 forcibly upgrades/updates and you lose all of your work and then get the beating for it when you show your work to someone. It’s like we can’t expect to close a laptop and then return to it. No way. Microsoft’s sabotage of Windows 7 updates on Ryzen already drove me from the platform; I use Linux now. I set up mom with Windows 7 on the old computer I gave to her because it is a Phenom II. But as soon as that is unsupported, I’m migrating her to Linux as well. Microsoft have crossed the line too many times and I will not support them or their products anymore. Since Eric Lundgren, I wouldn’t pay Microsoft for anything. These security updates should make their way to the web unless m$ figures a way to keep that from happening. This happened on XP. People discovered that they could convert the pro edition into a POS variant by editing the registry (that’s point of sale, not the other POS you are thinking of), and get the updates until 2019. I never did this myself, but presumably they have learned from their mistakes and will not let that sort of thing happen again. I think it is till 2025 – so even better. Nah, no point. People who are running win7 are either there because they dont know any better, or because they know EXACTLY what they’re doing. The first ones don’t care. The 2nd have a stable environment that does what they need, those people have their own support thats kept the operating for years without any interaction with MS. I imagine at some point in the future there will be a niche market for older developers to keep working on MS products they’ve abandoned. Hell I just worked on corporate computer running code from the 80’s on hardware from the 90s. I’d rather pay for Linux. Like what I’ve said, it’s time for Micro$oft to open source NT kernel baby! I’m running Windows 7 Professional. I could be tempted to extend M$ support, but not at those prices. My computer is a tool, not a window into the media world, so I rarely surf websites. My work is heavily based on genealogical and financial software, that I know are also non-compatible with Windows 10, Apple, or other possible OS. Alternative software packages are available, but will not read my extensive archives. I will probably disconnect from Ethernet and run stand-alone. No, I would not pay for extended support. Not per se because of the money, but also because I will move to Win10 this year. I have been trying out Linux Mint for years now (and yes it’s safer etc. than Windows), but I find the learning and adjustment curve to steep. hi,I am a long time linux user and have used and looked at quite a few distros. Everyone has of course there own favourites but mine is and has been for years PCLinuxOS. It is a rolling release,meaning constant updates,almost daily,has a help forum second to none, and monthly magazine. but then that isn’t Windows 10 anymore. “Microsoft support”? Biggest oxymoron (& I DO mean moron) since “military intelligence”. I’m also a support person for Windows, as irony has it. So, enter Virtualbox on Mint. Win 7, 8 & 10 have their homes there, where they can’t get into trouble- lol. I heartily recommend Linux Mint Mate. Register in the Mint forums (excellent folks) to ask your questions & drop yourself into the Mint-programs-provided, “Hexchat”, to possibly net an immediate answer to whatever might be ailing you. I love the community of Linux Mint. Very helpful & earn my meager donations from time-to-time (tho you don’t have to). I love that if anything pops up that I don’t quite understand, I have a place to find the answers. (Compare that to M$ online forums– where all you find is NOTHING ever solved. Just a bunch of M$ players posting links which have never helped). No, I already have Windows 7 and the updating service completely disabled. Updates from around 2016 is good, after that it’s safe to turn them off. You don’t need an antivirus either, they just bog the computer down, just some common sense and you won’t get viruses. And this way Windows 7 can work for 10 more years, or however much time before programs and games begin dropping support for it. I don’t plan on switching to Shitdows 10 any time soon. Absolutely. There is no need any more for an Antivirus. “We” are our own AV………..its called a brain and a good backup regime and mitigations to risk. Glad to read your post, Weilan and Sophie. I sure hope I will get another good few years out of my lappy and win7. In short, would not pay for extended support. A) is your best choice. I converted to Linux Mint with Win 7 running in Virtual Box over a year ago and it has worked well without a problem. I’ve been able to run my legacy software without a hitch and have no reason to “downgrade” to Win 10. Besides, it’s been interesting learning Linux, admittedly at a slow pace because Linux Mint can do a lot through the desktop which dramatically reduces the need to use the terminal. I recommend you try it out now to give yourself time to learn before support ends for Win 7. I wouldn’t be surprised if M$ somehow prevents us from making a “new” installation of Win 7 after support ends. Windows 10 is a downgrade even to Windows XP. XP was the best version of Windows ever produced and capable of much more development than it ever received. MS attempts to drive people away from XP and Win7 have imho simply driven them closer to Linux. Years ago, I used to use Linux about 20% of the time. Given an older desktop with Mint and a newer laptop with Win10, I not only find myself using Linux about 50% of the time, but time and again find it easier to get things done (serious things, not social media, etc) with Linux. I do a certain amount of (amateur) clerical work for local organisations, and find Win10 an absolute pain. Ditch all their user interfaces in terms of linking them to the OS. Why do we *have* to take the crummy UI that is needlessly ‘updated’ each release…. Microsoft has the worst free support on the planet. If you google a problem with Windows, Microsoft’s answers.microsoft.com will probably be the first search result. Unless SOMEONE ELSE has solved the problem (Microsoft’s free tech support staff will do a quick google search), they’ll post the following worthless instructions. Step #1 – They’ll say run SFC (System File Checker). Step #2 – When they’re told that SFC didn’t help, they’ll say re-install the operating system (Windows). Step# 3 – Unless SOMEONE ELSE solves the problem, they’ll try to close the topic after enough time has past and call the case “SOLVED”. Why would anyone trust that paid support would be much better? If you’re a corporation, you’ll probably hire a 3rd party MIS support company (if downtime costs money, they’ll be on a monthly retainer) to handle anything your MIS staff can’t handle. Why would anyone trust Microsoft’s paid support, when their free support is less than worthless??? I’d rather move to Linux than pay Microsoft for tech support, because I can run SFC & re-install a backup for free. BTW, I’m never moving to Linux (I’d sooner buy a Mac, and I hate Apple). MOANING again. It’s time for Micro$oft to get down from their proprietary wall to make Windoze GREAT AGAIN! No. As a consumer, I would not pay M$ for Win 7 extended support past Jan 2020. I will use my un-updated Win 7(un-updated since April 2016) until it becomes totally unsupported on the web and by software/programs/apps. Of course, safe-browsing practices and AV protection are needed to run an un-updated Win 7 computer. So far so good. Many programs/apps/firmware-updates/etc still require Windows = Linux won’t do. So, it will be a problem when Win 7 becomes totally unsupported, eg in 2025, like what has happened to Win XP today. ……. Hopefully, by then, consumers will have another choice of a non-monopolistic OS to replace M$-Windows, eg if Google acquires Canonical Inc-Ubuntu. Since the 1990s, M$-Windows has established a market-monopoly by out-marketing Apple-MacOSX, eg by generously offering 10 years of support for Win 3.1/95/98/XP. Enterprises/businesses/ /companies are high-value targets for hackers. So, their Win 7 Ent systems could not afford to stay un-updated past Jan 2020. Similarly for other high-value targets like CEOs, Hollywood celebrities, government officials, politicians, etc. Only since Win 10 in 2015, has M$ used her monopoly power to fully financially exploit the customers/users, eg Win 10 Ent users must pay M$ extra dough to use it for more than 2 years = pay for Software Assurance or E3/E5 subscriptions or the Ent LTSB edition or etc. Hence, forced auto-updates/upgrades and Telemetry & Data collection in Win 10. I’ve blocked all updates, and stopped Defender. But if I was in a situation where I really could not stop updates in any way….and sooner or later, those updates were to come and bite me on the bum, then I’d actually PAY Microsoft to allow me NOT to have their updates. Their “support” will/would lead to ruination, not salvation. I just love reading stuff about Windows OS. I mean people make comments like Windows 7 is this or that, I hate Windows 10. It begs the question. WHY are you even using a Microsoft Operating system in the first place? The other fun one is I use Linux. Uh? Why are you even here then? lol People who think they have the perfect thing know so much about so little. I currently do not update my Windows7. I shut that down a long while back. What I would pay Microsoft for is a Win7 disc and the ability to install it on a new computer. I’d also gladly purchase a used Windows7 computer. I hope to avoid Windows10 for the rest of my life. kalmly: yes, i purchased a brand new win7pro pc last summer. easy peasy and all working cool and quiet. i had a guy on ebay build it for me. very reasonable and well-done. i also have no updates and never a problem. regular images and common sense seem to work pretty darn good. No. And I would not rely on some unknown internet entity for quasi MS updates either. A fully updated W7 non-enterprise OS will be top heavy with 10 years of updates by eol in January 2020. They will be still doing their job. Considering that computer hackers are mostly state actors or organised crime ‘running a business’, they will manage their resources as closely as any legit business would do. Extortion and/or political gain that comes from computer attacks will be more lucrative with W10 as that is where government entities and big money reside. The cloud can be penetrated. I expect some W7 targeted attacks by malcontents after W7 eol, but a W7 system with additional security in place should be enough to catch whatever a malcontent shoves down the chute. No need to pay MS for that. Would be interesting to know exactly HOW unsecure Windows 7 is with Windows Update and its services turned off, all remote assistance features/services turned off etc. Things that anyone can do themselves. Also, the computer would have no Java no Flash none of that stuff, just updated latest versions of ones favorite programs. Mainly probably used for browsing. Now would that classify as a hysterically leaking, life-threatening, hazardously dangerous and “your family will blow up and your lawn will die if you use it”-OS in february 2020? I have a strong feeling Windows 7 will be very safe to use for a long time to come, no matter what the marketing department at Redmond says. Add uBlock Origin, Firefox, Nano Defender and Classic YouTube and we’ll see how many years that would add to the device. Funny, because I was just thinking about this yesterday (really). I recently applied for temp work with a company, scoring student assessments from home. They required Win 7 or 8. I have never gotten updates for my Win 7 PC, but saw at ZDNet how much future patches would cost, & I could see why corporate users might prefer paying to switching to Windows 10. Or maybe not, & MS likes that outcome also. I read several comments where people use Win 7 with updates up to a certain date point, are there any more information somewhere on some forum or article or so what are some latest up to date updates to stick with. Also why no further latest update, are there certain dates MS introduced some unwanted features? I am keen on using Win 7, would SP1 be ok or if not, what updates are necessary, where to start and far to go? In July 2015, Win 10 was released with forced auto-collection of Telemetry & Data. At around Nov 2015, M$ issued similar updates for Win 7/8.1 to do the same, eg KB2952664. At the same time, M$ issued the GWX KB3035583 update to try to get/’trick’ Win 7/8.1 users into upgrading to Win 10. In Oct 2016, M$ imposed monthly Patch Rollups for Win 7/8.1 where M$ could “force” certain unsavory updates to be accepted by the users. At around April 2017, M$ issued processor-blocking updates in the Patch Rollups to prevent 7th-gen Intel Kabylake or newer processors from running on Win 7/8.1. P S – From July 2015 until Feb 2017, Windows Update was not working for certain Win 7/8.1 users, eg those who needed to do a clean reinstall of Win 7/8.1. What a coincidence.! Win 7 was first released in 2009. The 2011-released Win 7 SP1 should be used if available. A clean reinstall of Win 7 SP1 today will be followed by 200+ security updates and many monthly Patch Rollups that may need to be installed through Windows Update. There is a Win 7 “SP2” released by M$ in May 2016 which may contain “Telemetry” updates. I made an image of the system drive for each of the four systems I have (all Win7x64) after running them for a few months with windows updates through summer of 2017. Since then my machines are not allowed to talk to M$garbage at all. I use Comodo for antivirus and firewall, for four years now. If any system is compromised I just stop it, reload the guaranteed image, reinstall any software updates and continue. I can use Win7 forever. I also kept a spare motherboard/cpu that will run Win7 (just in case). Can i pay for home user??? Wife and I are both 73. No long term bucket lists, just Win-7 until we fall off our respective perches. Hope I can create an installation disc with unofficial SP2 … and if it fails we have baubles for our g.grandkid’s Xmas trees. And if we are still on our “twigs” in , say, 3 years time … Hello Linux Mint (again) ! all it needs is a bit of open heart surgery. What are your wife’s opinions on Microsoft’s telemetry? Also it’s so cute seeing an old couple. Seriously, is Microsoft *that* desperate for money? No, of course they’re not! They should be rewarding loyal customers still using old versions of their OS, not penalising them. Not everyone is able to just run out and buy new or upgrade existing hardware. My old, and now spare, laptop has Win 7 and although an IT service reformatted it and reloaded the OS (I have a CD), it’s still very slow for some reason, so I’m not sure it could cope with Win 10. I only use it for one thing (so a resource-hungry add-on doesn’t bog down my new laptop), to backup my Pinterest boards since FF’s move to web-extensions add-ons, which the add-on developer hasn’t done. I’ve frozen FF at Version 56, although I know I can use Waterfox etc. I’ll cross the Win 7 security threat due to out of date updates bridge if/when I need to. I’ve got Win7 Ultimate and will upgrade if given the opportunity. Sadly I’m a home user and not an enterprise user so M$ may just stick it to me and not accept my money. In which case I’ll make it a point never to purchase another Microsoft OS again–it would be of supreme arrogance for a business to turn away a customer who wants to hand them money when they already have the product and infrastructure in place to satisfy that demand.